Two sisters leave Shanghai to find new lives in 1930s Los Angeles. Follow up with the family in Dreams of Joy. In the aftermath of the Civil War and Lincoln's assassination, the black life-in staff at the Lazaretto quarantine hospital - the first stop for immigrants who wish to begin new lives in Philadelphia - find the wedding preparations for one of their own marred by a shooting and its aftermath. Juliet is leaving the Bronx after coming out to her family. In order to help figure out this whole "Puerto Rican lesbian" thing, she is interning with the author of her favorite book, the ultimate authority on feminism, women's bodies, and other gay-sounding stuff. Set over the course of one school year in 1986, this is the story of two star-crossed misfits - smart enough to know that first love almost never lasts, but brave and desperate enough to try. Devastated by her betrothal to a violent boy she does not love, Jayden is forced to accept her fate as her ancient Mesopotamian tribe moves to the Summer Lands, where she falls for a mysterious youth from the Southern Lands. Continue the story with Banished. Grayson, a transgender twelve-year old, learns to accept her true identity and share it with the world. When her summer plans are interrupted by creepy supernatural phenomena, Sierra and her artist friend uncover the work of a magic-wielding killer who believes Sierra's family is hiding a powerful secret. In this reimagining of The Arabian Nights, Shahrzad plans to avenge the death of her dearest friend by volunteering to marry the murderous boy-king of Khorasan but discovers not all is as it seems within the palace. Continue the story with The Rose & The Dagger. After being elected as homecoming queen and engaging in a first sexual encounter with her boyfriend, Kristen discovers that she is intersex and possesses male chromosomes, a diagnosis that is leaked to the whole school, throwing Kristin's entire identity into question. 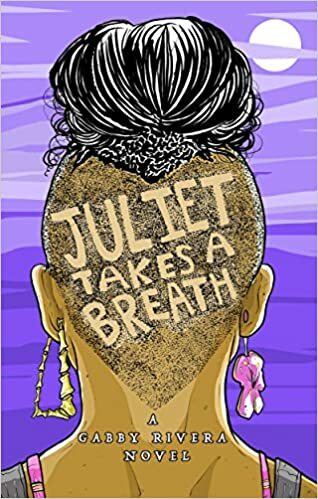 Born with a facial deformity that initially prevented his attendance at public school, Auggie Pullman enters the fifth grade at Beecher Prep and struggles with the dynamics of being both new and different. Hear from the other characters in Auggie & Me: Three Wonder Stories. Having lost his mother and his hearing in a short time, twelve-year-old Ben leaves his Minnesota home in 1977 to seek the father he never knew in New York City, and meets there Rose, who is longing for something missing from her life. Ben's story is told in words; Rose's in pictures. A young boy in Concord, Massachusetts, who loves superheroes and comes from a long line of brave Chinese farmer-warriors, wants to make friends, but first he must overcome his fear of everything. Be sure to check out the entire series. A poetic tribute to a lesser-known event in African-American history describes how after working for more than six days, slaves in 19th-century New Orleans were permitted to congregate in Congo Square to sing, dance and put aside their trouble for a few hours.